Take off! To the Great White North! Take off! It's a beauty way to go! And who doesn't love the story behind how they came about? Let Wikipedia tell it: "The CBC network heads asked the show's producers to add specifically and identifiably Canadian content for those two minutes. 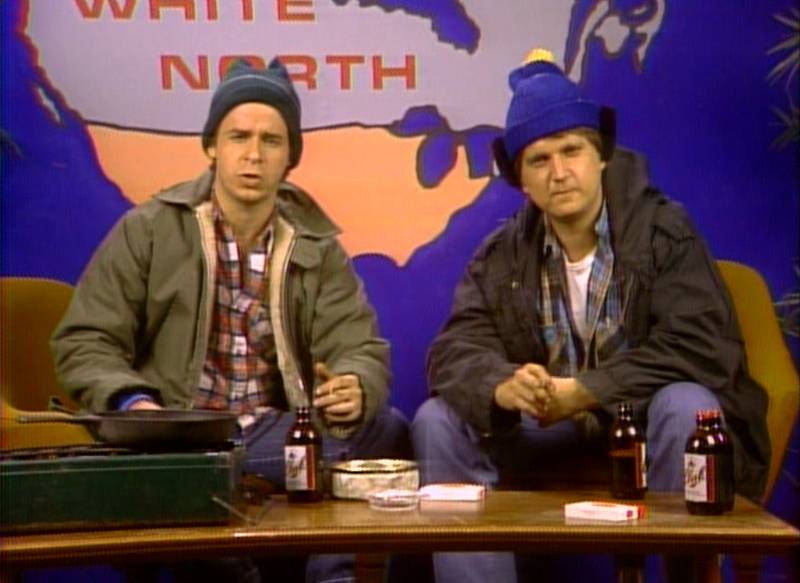 Rick Moranis and Dave Thomas thought that this was a ridiculous request, since the show had been taped in Canada, with a mostly Canadian cast and crew, for two years. The request inspired them to create a parody that would incorporate every aspect of the humorous stereotype of Canadians." Bring back the Bros., please. They were hilarious.